Oh my. I remember those days. In “”Loving the Little Years: Motherhood in the Trenches”, Rachel Jankovic, mother of 5, 5 yrs. & under, says she had to make herself stop using the word “overwhelmed.” She felt it was a one-word pity party and decided that at those moments, she had to just accept the fact that this is the place God had put her and the job he had given her to do, for her good and His glory, and to get busy doing what she needed to do next. I’m sure this is what you do as well. I can’t imagine how Rachel found the time to write a book or how you find the time to blog. Thanks for taking a few minutes to share your life. …And keep laughing. Yes, it’s a hectic but precious time… but holy cow I can’t even imagine having 5 under 6! Blogging is a convenient hobby because it can be done at night without waking people up. Thanks for following mine!! 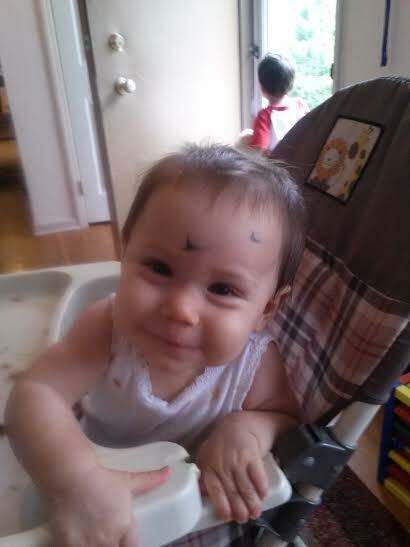 I once was baby sitting and accidentally let one of the kids draw on his face…let me know if you ever need a hand watching the babies. « When Did Pro-Life Become Anti-Immigrant?